What’s not to love about these cookies? Not only are they cute (and I imagine that someone with more skillz than me could make them even cuter! 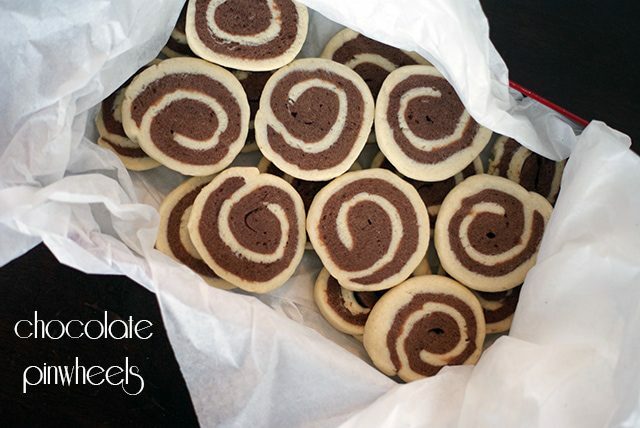 ), but they combine a classic sugar cookie dough with a chocolate sugar cookie into one perfect pinwheel! 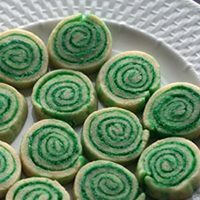 Although not especially Christmas-y, with no red and green dye or peppermint flavor in sight, these are a great addition to your recipe collection. And bonus points for the wow factor if you have kids in your home; my girls were so fascinated by the process! Mix flour and salt in a small bowl. In a large bowl, cream butter and sugar. Beat in egg, vanilla and 2 tablespoons milk. Slowly add flour mixture, mixing until well blended. Divide dough and set half aside. Add cocoa powder and remaining milk to the mixing bowl with the other half. Mix until completely incorporated. Form each half into a disc and wrap separately in plastic wrap. Refrigerate for at least an hour. Remove dough from fridge. If it’s been more than an hour, let sit for 15 minutes. Lightly flour your surface (this is the coolest tool ever for flouring!) and roll the first disc out to a 1/8-1/4″ thick rectangle. Repeat with the second disc. 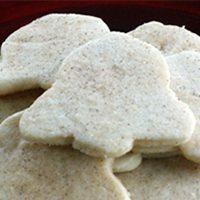 Brush a light coating of milk on the sugar cookie disc and lay the chocolate dough on top. 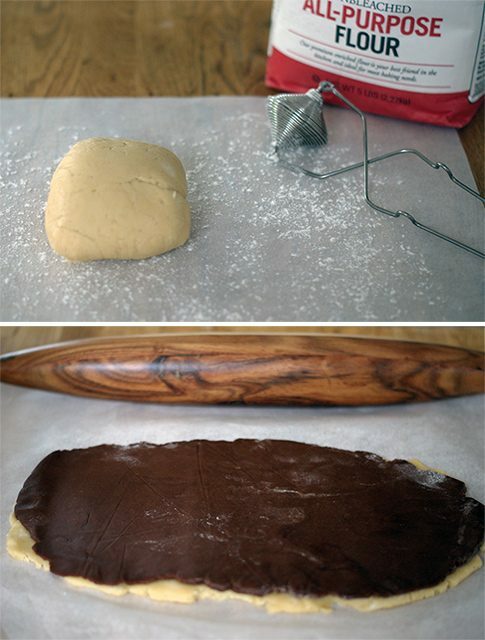 Starting on the long side, carefully roll the dough into a log. 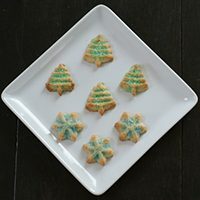 Cut into 1/4″ slices and transfer to a cookie sheet or stone. Bake 12-14 minutes or until edges are light brown. Let cool in place for 3 minutes and then move to a wire rack to cool completely. Mandi, these look so festive! I’ve never made pinwheels before, but I think this will be my year. 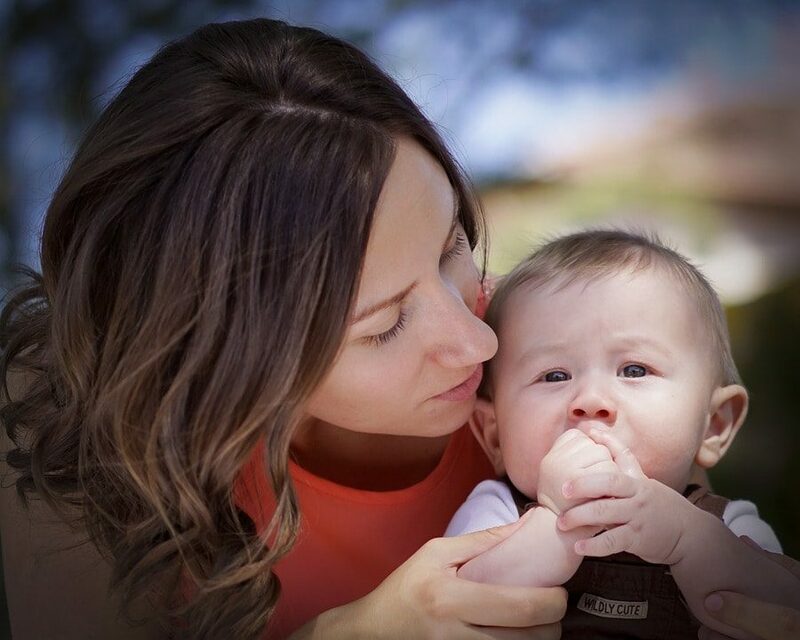 Thanks so much for the recipe – pinning it now!